*Volume discounts are available for well qualified customers. If you are approved to use us for verification services there is no setup fee or any other costs outside of the $19.95 per verification price (or agreed on volume discount price). Based on the nature of the verification process we cannot and do not guarantee that all verification requests will result into a completed verification. What we can guarantee is that we will sufficiently attempt to complete all verification requests sent to us. Employment Verification Description: Our employment verification background check verifies an applicant’s previous or current employment, start date, end date, title, salary, reason for leaving, and eligibility for rehire. We will also supply the name, title and phone number of the verifying source usually HR (human resources). Education Verification Description: Our education verification background check verifies an applicant’s school, dates of attendance, and degree or major, and GPA (when requested). Professional Reference Check Verification Description: Our professional reference check verification seeks to obtain a professional reference from a single specified source such as a previous co-worker, direct supervisor, or associate. We ask 10 standard questions to complete this verification type. Please click here to view the 10 questions. Personal Reference Check Verification Description: Our personal reference check verification seeks to obtain a personal reference from a single specified source such as a friend or associate. We ask 10 standard questions to complete this verification type. Please click here to view the 10 questions. Credentials Verification (Credentials Verification Check) Description: Our Credentials Verification Check verifies the authenticity of an applicant’s license (license check), certification or credentials and gives the date issued, expiration date and status with the issuing authority. The license verification check cover lawyers, CPA’s (certified public accountants), all medical practitioners, and certain insurance agents. *A Medical License Verification is covered by our credentials verification service. Person/Company being contacted to verify request did not receive release form, and it is being resent. Person/Company (also known as “Verifying Party”) has not responded to three solid attempts at which point we make two additional attempts per day for two additional days. Verifying Party has results on a specific date that is more than three days from the date we received the order and the customer is willing to leave the order open. Education orders on hold for school holidays, and the customer is willing to leave the order open. Customer has requested that the order remain open longer for whatever reason. A solid attempt could not be made in each of three succeeding business days due to external events beyond our control. 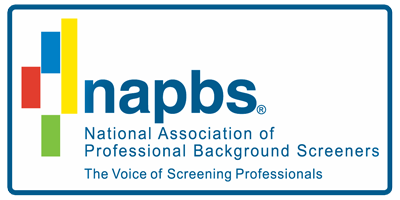 CriminalBackgroundRecords.com uses full-time professional background researcher’s who are real people living in the United States of America who specialize in employment, education and credentials verifications. Employment checks are conducted under the strict guidelines of the federal Fair Credit Reporting Act (FCRA). Over 90% of our verification and reference attempts return definitive conclusions, with ¾’s of those results containing completed verification and/or reference reports. There are frequent occasions when additional third party fees are incurred in order to complete verification requests. CriminalBackgroundRecords.com pays these fees for its customers and does not charge its customers for them. Our price of $19.95 per verification already takes into account these fees. We prefer to offer our customers one flat fee with no hidden charges. We do this so our customers know exactly what their costs and fiscal exposure will be. Other companies that compete with us may have lower upfront costs, but they will also charge you additional fees showing up as a surcharge on your invoice each time they are incurred, which is quite often in this line of work. IN ADDITON TO THE RESPECTIVE REQUIREMENTS OUTLINED BELOW WE REQUIRE A SIGNED RELEASE FORM WITH THE APPLICANT’S SIGNATURE ON IT BEFORE WE CAN BEGIN THE VERIFICATION/REFERENCE CHECK PROCESS FOR YOU. The signed release form can either be emailed or faxed to us. We supply generic release forms to customers who do not have their own.